Thank you! Only 1 queen btw. 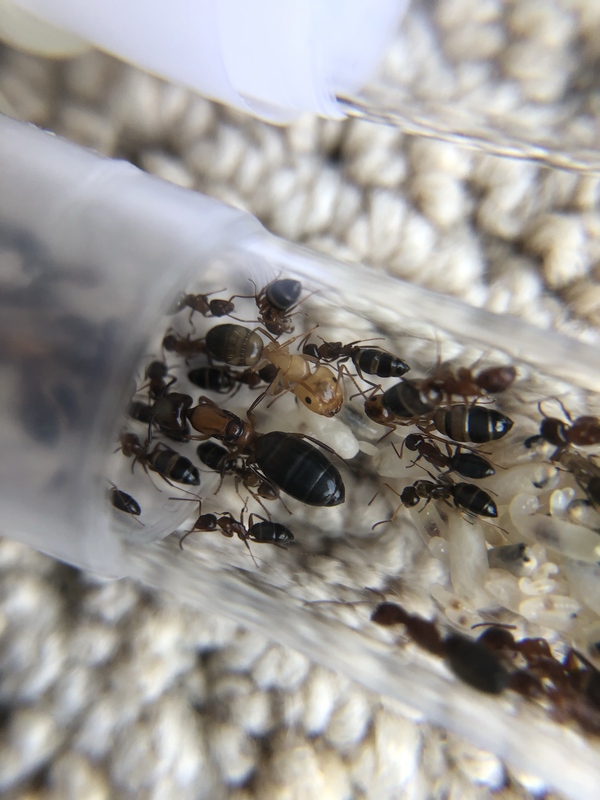 They're doing really good I moved them into an AC small camponotus hybrid nest with the AntsCanada starter pack. I'm just too busy to do any updates. I found an ant yesterday during my way back home. Is thr any way i can share the photo to identify whether is it a male or female? Start your own ID Thread and find out how to post photos by using imgur.com. I am. You can privately message me about it. Just wait for the Super Majors to come! Haha yeah. The biggest major is already almost the size of the queen. This is the other species that I have, Lasius alienus.